Are Pakistan’s Nuclear Assets Under Threat? Pakistan is at risk from nuclear terrorism — but not in the way you think. The fourth and final Nuclear Security Summit, held in Washington D.C. on March 31- April 1 2016, once again reiterated the apocalyptic threat of nuclear terrorism. Having over 1,000 atomic facilities across 50 odd countries, all having different standards of security, is bound to raise alarm bells in an age where terrorist organizations have expressed their intention of using the “absolute weapon.” The Islamic State in Iraq and Syria (ISIS) even asserted in the May 2015 issue of its propaganda magazine Dabiq that it can buy a nuclear bomb through links to corrupt officials in Pakistan. While there is no evidence of these alleged links, such statements are part of the group’s psychological war of spreading fear. They also accentuate the Islamic State’s interest in acquiring the bomb. With al-Baghdadi’s group losing ground in both Syria and Iraq, ISIS is becoming more and more desperate to carry out spectacular attacks and reaffirm its strength. Already numerous reports have claimed that the Islamic State has enough radioactive material to make a dirty bomb and use it in Europe. The recent incident of a Belgian nuclear plant worker shot dead and his security pass stolen, alongside reports of two Belgian nuclear plant workers joining ISIS, signify the colossal threat confronting European states. Do terrorist pose a threat to Pakistan’s nuclear assets? The answer is both yes and no. More than once, Pakistan has come under the limelight for not ensuring the security of its nuclear assets. For instance, in January 2001, Pakistani nuclear scientists with extremist sympathies created a what was supposedly a humanitarian nongovernmental organization, Ummah Tameer-e-Nau (UTN). Bashiruddin Mahmood, the former head of Pakistan’s Khushab plutonium reactor, was its chairman. In November 2001, at the request of the United States, Pakistan’s intelligence services arrested a number of UTN associates and members, including Mahmood. Mahmood later confessed that he met with Osama bin Laden and they discussed the possibility of developing a nuclear bomb. Similarly, the discovery of the infamous AQ Khan network in 2004 almost jeopardized Pakistan’s entire nuclear program. The father of the country’s nuclear program, Abdul Qadeer Khan, was found proliferating nuclear technology to other countries, including Libya, North Korea, and Iran. While members of al-Qaeda also tried to contact Khan’s associates for assistance with their weapons program, the AQ Khan network reportedly rejected them. The aforementioned events, together with the General Headquarters attack in 2009 by Tehreek-i-Taliban (TTP), underscore that Pakistan’s nuclear security might not be impregnable. However, time and again Pakistan has expressed confidence in the security arrangements of its nuclear weapons. Even at the Nuclear Security Summit 2016, Pakistan reiterated that its nuclear assets are secure, and of a modest level, in accordance with the country’s doctrine of minimum deterrence. While the entire program is engulfed in secrecy, reports have ascertained that Pakistan is doing enough to prevent its weapons being used by rogue elements, including terrorists. For instance, according to Dr. Samar Mubarakmand, who has been closely involved with the country’s nuclear program, Pakistan’s nuclear weapons are stored in “three to four different parts at three to four different locations.” Therefore, they are stockpiled in component form, which means if the weapon is not about to be launched then it is not in an assembled form. With the warheads disassembled, they cannot be used by terrorists. Similarly, Islamabad has improved the reliability of its nuclear personnel by making security clearance procedures more stringent, decreasing the likelihood of an insider threat. However, Islamabad recognizes more can be done to control its nuclear expertise. The Nuclear Security Summit has raised awareness and the sense of urgency of increasing nuclear security among all nuclear states. Pakistan, being part of the NSS, has also pledged to take the necessary steps. ISIS in particular does not have a profound presence in Pakistan and exists only in the form of small, independent cells. It’s extremely doubtful it can steal Pakistan’s nuclear material. However, a threat does emanate from local militant groups who can exploit the already unstable security environment in South Asia. India’s Cold Start doctrine and Pakistan’s acquisition of battlefield nukes are a cause for concern, and can be exploited by terrorists. The Cold Start doctrine was developed after the 2001 terrorist attacks on the Indian Parliament. India claimed that the attacks were perpetrated by Pakistan-based militant groups, Lashkar-e-Taiba and Jaish-e-Mohammad, who were in cahoots with some institutions of Pakistan. In response, the Indian state initiated the largest military build-up since 1971. However, it took India three weeks to get to the international border. By that time Pakistan was able to counter-mobilize, which allowed for the United States to intervene and forestall the conflict from precipitating. Then Pakistani President Pervez Musharraf also denounced terrorism, and promised a crackdown. This reduced India’s political justification for a military action. Unsatisfied with this slow response, India developed the Cold Start doctrine. The said doctrine involves offensive operations, allowing India’s conventional forces to perform holding attacks in order to prevent a nuclear response from Pakistan. In reply to this, Pakistan developed tactical nuclear weapons to deter any military action from India. This situation should raise concern. If terrorist attack is plotted against India from Pakistani soil and India operationalizes its doctrine, presumably, in reaction, Pakistan will deploy its tactical nuclear weapons. India too then is likely to use its conventional nuclear weapons, inviting a full-blown nuclear war between the two neighboring states. As such, the combination of tactical nuclear weapons and the Cold Start doctrine provides an opportunity for terrorist elements to initiate a nuclear war. Both India and Pakistan need to work out a plan whereby India gives up its Cold Start doctrine in the event of a militant attack, and in response, Pakistan abandons its tactical nuclear weapons. Otherwise, there will always be room for militants to ensure a nuclear attack by conducting traditional acts of terror. If a terrorist can compel a nuclear war between two nations, how is that different from nuclear terrorism? Shahzeb Ali Rathore is a Research Analyst at the International Center for Political Violence and Terrorism Research (ICPVTR) of the S. Rajaratnam School of International Studies (RSIS), Singapore. The entire population of Belgium is to be issued with a ration of iodine tablets, months after warnings about the threat of Isil building a dirty bomb. 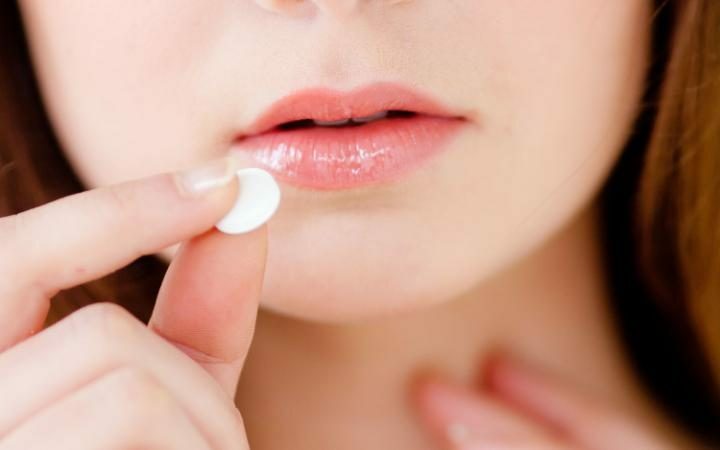 Iodine pills, which help reduce radiation build-up in the thyroid gland, had previously only been issued to people living within 20km (14 miles) of the Tihange and Doel nuclear plants. Maggie De Block, the Health Minister, said that would be extended to 100km, covering the whole country of 11 million people, following advice from an expert council. The pills will be sent to pharmacies, and the public would be ordered to collect their ration in the event of a meltdown. Children, pregnant women and those breast-feeding would be given priority. It emerged following last month’s terrorist attacks that an Isil cell may have been plotting to kidnap a nuclear expert in order to build a “dirty bomb”. Eleven nuclear workers had their passes revoked. Ibrahim and Khalid el-Bakraoui, the brothers behind the suicide strikes on Brussels airport and Metro, are believed to have been involve the plot to scatter radioactive material over a populated area. A senior Belgian nuclear industry official was secretly filmed by jihadists late last year, according to the country’s nuclear authority, and the brothers were linked to the surveillance. There are also concerns over Belgium’s ageing nuclear plants that have been subject to repeated safety warnings, including defects in pressure vessels and fires. Last week Germany asked that the 40-year-old Tihange 2 and Doel 3 reactors be turned off “until the resolution of outstanding security issues”. The reactor pressure vessels at both sites have shown signs of metal degradation, raising fears about their safety. They were temporarily closed but resumed service last December. The key figure in the suspected dirty bomb plot is Mohammed Bakkali, 28, from Brussels, who was arrested in November on suspicion of helping to plan the Paris massacre. Police raided his wife’s flat and found a ten-hour video taken by a camera hidden opposite the home of an executive at the Centre for the Study of Nuclear Energy in Mol, northern Belgium. The executive had access to radioactive isotopes at the country’s national nuclear research centre. Authorities declare state of high alert after thousands break into Green Zone against backdrop of continued violence. 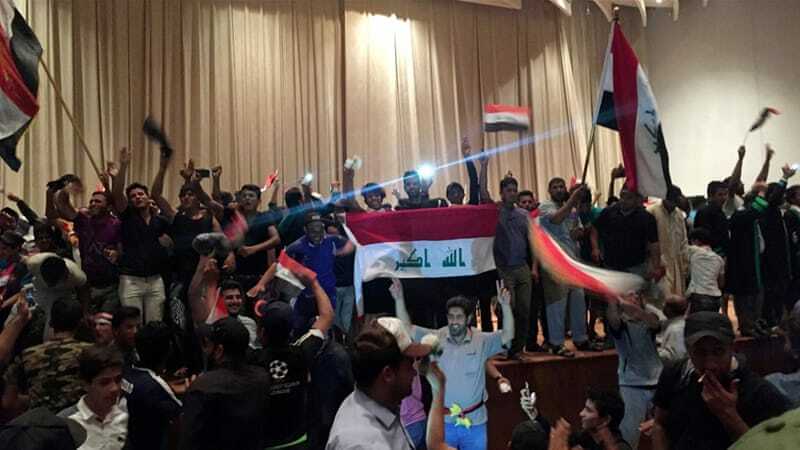 A state high alert has been declared in the Iraqi capital Baghdad after protesters broke into the fortified Green Zone and stormed the parliament building, shortly after politicians again failed to approve new ministers. Saturday’s development was the climax of weeks of political turmoil in Iraq that has seen MPs hold a sit-in, clash in the parliament chamber and seek to dismiss the speaker, halting efforts by Haider al-Abadi, the prime minister, to replace party-affiliated ministers with technocrats. The unrest also coincided with a blast that targeted Shia pilgrims near Baghdad, killing at least 23 people. The Green Zone is the most secure part of the Iraqi capital, housing the parliament, the prime minister’s office and embassies. “You are not staying here! 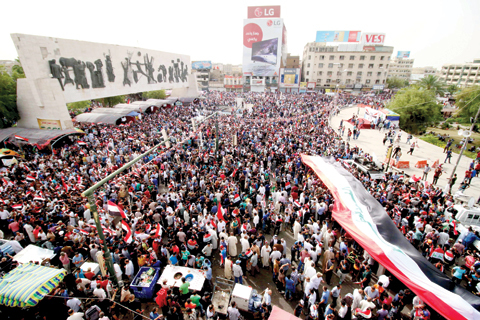 This is your last day in the Green Zone,” shouted one protester as thousands broke into the central Baghdad area. Protesters attached cables to the tops of heavy concrete blast walls that surround the Green Zone, pulling them down to create an opening, television footage showed. They then headed to parliament, where some protesters ran around the building and broke into offices, while others shouted “peacefully, peacefully” and tried to contain the destruction, an AFP news agency reporter at the scene said. Security forces were present but did not try to prevent the demonstrators from entering the parliament building, the reporter said. Protesters pulled barbed wire across a road leading to one of the exits of the Green Zone, effectively preventing some scared lawmakers from fleeing the chaos. Protesters attacked and damaged several vehicles they believed belonged to parliamentarians, sources told Al Jazeera. Parliament failed to reach a quorum on Saturday after approving some of Abadi’s ministerial nominees earlier in the week. The Green Zone unrest kicked off minutes after Muqtada al-Sadr, the powerful Shia leader, ended a news conference in the holy city of Najaf during which he condemned the political deadlock. Last month he had threatened that his supporters would storm the Green Zone, but he did not order them to enter the area in his Saturday address. The politicians “refused to end corruption and refused to end quotas”, Sadr said, adding that he and his supporters would not participate in “any political process in which there are any type… of political party quotas”. Key government posts have for years been distributed based on political and sectarian quotas. Abadi’s move to change the system has been opposed by powerful political parties that rely on control of ministries for patronage and funds. Both the US and the UN have warned that the political crisis could distract from the fight against the Islamic State of Iraq and the Levant (ISIL, also known as ISIS) group. Iraqi government forces backed by US-led military assistance have regained significant ground from ISIL, which overran large expanses of the country in 2014. Inside Story: Revenge and reprisals in Iraq? But the group still controls a large part of western Iraq, and are able to carry out frequent attacks against both civilians and security forces in government-held areas, including Baghdad. 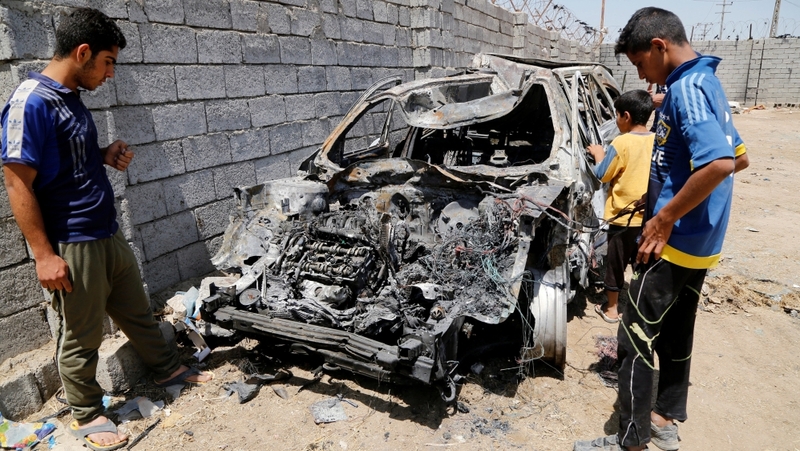 Saturday’s car bombing, which occurred in the city’s Nahrawan area, killed at least 23 people and wounded up to 38 others, security and medical officials said. ISIL, which considers Shia to be heretics, claimed the attack and said it was carried out by a suicide bomber who detonated a vehicle laden with three tonnes of explosives. The officials said the explosion struck a road used by Shia pilgrims who were walking to the shrine of Imam Musa Kadhim in northern Baghdad for annual commemorations. Kadhim, the seventh of 12 imams revered in Shia Islam, died in 799 AD. The pilgrimage has in recent years turned into a huge event that brings Baghdad to a standstill for days. Five people have been arrested in the former Soviet republic of Georgia for trying to sell more than a kilogram of uranium. State Security Committee investigator Savle Motiashvili told a briefing Thursday that the 1.665 kilograms consisted mostly of U-238, the isotope most commonly found in nature, and only about 0.2 percent of it was U-235, which can be used in nuclear weapons and reactors. The arrests were made in Kobuleti, he said. The suspects aimed to sell the uranium for $3 million, but no potential buyer was specified. Although U-238 itself is not fissile, it can be used as a component in nuclear weapons. It was the second such arrest this month. Georgia announced April 18 that six people were arrested for trying to sell uranium. A Pakistani military complex has been established close to the international border in Punjab, according to a report in The Tribune. Details have emerged on social media, about the base housing nuclear missiles at Rahwali Cantonment near Gujranwala. It reveals two transport-erector-launcher vehicles, assessed to be those of the Nasr short-range missile, along with support vehicles laid out for inspection.A satellite imagery expert posted images dated 27 January on his personal Twitter page, along with an assessment. The site is 70 km from the international border and 100 km from both Amritsar and Jammu, lying in the trough of the strategically vital Shakargarh bulge that had witnessed key battles in 1965 and 1971. Along this bulge lies the vital link to Jammu and Kashmir, with the National Highway passing close to the border. The complex is well-fortified and includes hardened shelters with blast doors, garages, ammunition bunkers, administrative and support areas. It is believed to have been constructed in August 2014. According to experts, a missile base close to the border indicates that deployment of ‘low yield’ nuclear weapons could be employed to counter an Indian onslaught. The brief flight time of short range missiles makes them difficult to combat. Associated PressBAGHDAD (AP) – Vice President Joe Biden pressed Iraq on Thursday not to let its crippling political crisis upend hard-fought gains against the Islamic State group as he returned to the country that’s come to symbolize America’s relentless struggles in the Middle East. Biden slipped into Baghdad on an unannounced trip, his first to Iraq in nearly five years. Officials said the stop was planned before Iraq’s political system descended into turmoil, hindering U.S.-led efforts to defeat extremists who control parts of both Iraq and Syria. Sitting down with Iraq’s beleaguered leaders, he praised them for working “very, very hard” to construct a new Cabinet and touted progress wresting back territory from IS. “It’s real, it’s serious, and it’s committed,” Biden said as he met with Parliament Speaker Salim al-Jabouri, a Sunni politician facing calls from his colleagues to resign. Still, the anxious undertones of Biden’s brief visit were clear from the moment he stepped off a military transport plane into blistering heat after an overnight flight from Washington. White House staffers donned body armor and helmets as Biden was whisked by helicopter to the relative safety of the heavily fortified Green Zone, reminders of the dire security situation even in Iraq’s capital. Biden’s roughly eight-hour visit came amid a wave of tense protests and demands for sweeping political reforms that have paralyzed a government already struggling to tackle a dire economic crisis and battle IS. The United States has deployed more troops and equipment in hopes of putting Iraq on a better path as President Barack Obama prepares to leave office in January. Though there’s been progress in wresting back territory from IS and weakening its leadership, senior U.S. officials traveling with Biden said any lost momentum would likely be due to political unrest rather than military shortcomings. Chaotic politics are nothing new in Iraq, but the present infighting risks becoming a distraction, with politicians more focused on keeping their jobs than fighting IS, said the officials, who weren’t authorized to speak on the record. While Obama and Biden came into office pledging to end the war – and did so in 2011 – U.S. troops returned here in 2014 amid the rise of IS violence. Obama now acknowledges that his goal of defeating the militants won’t be realized during his presidency. Still, this month Obama agreed to deploy more than 200 additional troops to Iraq, bringing the authorized total to just over 4,000, and to send Apache helicopters into the fight. Biden thanked some of those troops and American diplomats during a visit to the U.S. Embassy in Baghdad, where he alluded to the deep sectarian divides still plaguing Iraq long after U.S.-led forces toppled the late dictator Saddam Hussein in 2003. Biden, as a U.S. senator in 2006, proposed dividing Iraq into semi-autonomous regions for Kurds, Shiites and Sunnis. Though that plan wasn’t adopted, the persistent strains among the groups that have flared recently in Iraq’s government illustrate the difficulty in holding the country together. The current round of turmoil grew out of weeks of rallies by followers of influential Shiite cleric Muqtada al-Sadr demanding an end to pervasive corruption and mismanagement. Thousands have protested just outside Baghdad’s Green Zone, calling for politicians to be replaced by independent technocrats and for Iraq’s powerful Shiite militias to be brought into key ministries. At the center of the crisis is Prime Minister Haider al-Abadi, a Shiite who met with Biden on Thursday at one of Saddam’s grandiose former palaces. Long overdue to deliver on his promises for reform, Al-Abadi is caught between ordinary Iraqis pleading for government accountability and entrenched political blocks that are reluctant to give up a powerful patronage system. Last month, al-Abadi pulled troops fighting IS on the front lines to protect Baghdad amid the protests, and other Arab nations have declined to provide Iraq more financial support until it gets its political act together. An economic crisis spurred by collapsing oil prices has further compounded Iraq’s troubles. Biden said he and al-Abadi discussed plans for retaking the key northern city of Mosul, an immense challenge for Iraqi forces and their U.S. backers. Biden said he was “very optimistic,” though U.S. officials predict a long road ahead. While in Iraq, Biden also stopped briefly in Irbil, the capital of Iraq’s mostly autonomous northern Kurdish region, where he met with Kurdish President Massoud Barzani. Kurdish Peshmerga forces have been among the most effective forces battling Islamic State extremists, but the U.S. partnership with Kurdish forces in neighboring Syria has been a sore point with U.S. NATO ally Turkey. Biden headed for Rome after leaving Iraq. by Daniel R. Dombroski, Jr. In New Jersey, earthquakes are measured with seismographs operated by the Lamont–Doherty Earth Observatory of Columbia University and the Delaware Geological Survey. An earthquake’s intensity is determined by observing its effects at a particular place on the Earth’s surface. Intensity depends on the earthquake’s magnitude, the distance from the epicenter, and local geology. These scales are based on reports of people awakening, felt movements, sounds, and visible effects on structures and landscapes. The most commonly used scale in the United States is the Modified Mercalli Intensity Scale, and its values are usually reported in Roman numerals to distinguish them from magnitudes. New Jersey doesn’t get many earthquakes, but it does get some. Fortunately most are small. A few New Jersey earthquakes, as well as a few originating outside the state, have produced enough damage to warrant the concern of planners and emergency managers. Damage in New Jersey from earthquakes has been minor: items knocked off shelves, cracked plaster and masonry, and fallen chimneys. Perhaps because no one was standing under a chimney when it fell, there are no recorded earthquake–related deaths in New Jersey. We will probably not be so fortunate in the future. Although the United States east of the Rocky Mountains has fewer and generally smaller earthquakes than the West, at least two factors increase the earthquake risk in New Jersey and the East. Due to geologic differences, eastern earthquakes effect areas ten times larger than western ones of the same magnitude. Also, the eastern United States is more densely populated, and New Jersey is the most densely populated state in the nation. Although there are many faults in New Jersey, the Ramapo Fault, which separates the Piedmont and Highlands Physiographic Provinces, is the best known. In 1884 it was blamed for a damaging New York City earthquake simply because it was the only large fault mapped at the time. Subsequent investigations have shown the 1884 earthquake epicenter was actually located in Brooklyn, New York, at least 25 miles from the Ramapo Fault. However, numerous minor earthquakes have been recorded in the Ramapo Fault Zone, a 10 to 20 mile wide area lying adjacent to, and west of, the actual fault. More recently, in the 1970’s and early 1980’s, earthquake risk along the Ramapo Fault received attention because of its proximity to the Indian Point, New York, Nuclear Power Generating Station. East of the Rocky Mountains (including New Jersey), earthquakes do not break the ground surface. Their focuses lie at least a few miles below the Earth’s surface, and their locations are determined by interpreting seismographic records. Geologic fault lines seen on the surface today are evidence of ancient events. The presence or absence of mapped faults (fault lines) does not denote either a seismic hazard or the lack of one, and earthquakes can occur anywhere in New Jersey. for estimating the frequency of earthquakes in New Jersey. Earthquakes with a maximum intensity of VII (see table DamagingEarthquakes Felt in New Jersey )have occurred in the New York City area in 1737, 1783, and 1884. One intensity VI, four intensity V’s, and at least three intensity III shocks have also occurred in the New York area over the last 300 years. The time–spans between the intensity VII earthquakes were 46 and 101 years. This, and data for the smaller–intensity quakes, implies a return period of 100 years or less, and suggests New Jersey is overdue for a moderate earthquake like the one of 1884. The 1995 earthquake in Kobe, Japan, is an example of what might happen in New Jersey in a similar quake. It registered a magnitude 7.2 on the Richter scale and produced widespread destruction. But it was the age of construction, soil and foundation condition, proximity to the fault, and type of structure that were the major determining factors in the performance of each building. Newer structures, built to the latest construction standards, appeared to perform relatively well, generally ensuring the life safety of occupants. New Jersey’s building code has some provisions for earthquake–resistant design. But there are no requirements for retrofitting existing buildings — not even for unreinforced masonry structures that are most vulnerable to earthquake damage. Housing of this type is common in New Jersey’s crowded urban areas. If an earthquake the size of New York City’s 1884 quake (magnitude 5.5) were to occur today, severe damage would result. Fatalities would be likely. Structures have collapsed in New Jersey without earthquakes; an earthquake would trigger many more. Building and housing codes need to be updated and strictly enforced to properly prepare for inevitable future earthquakes. BAGHDAD: Thousands of supporters of powerful Shiite cleric Moqtada Al-Sadr answered his call to demonstrate in Baghdad yesterday to pressure the Iraqi government to move forward with stalled reforms. Iraq has been hit by weeks of political turmoil surrounding Prime Minister Haider Al-Abadi’s efforts to replace the cabinet of party-affiliated ministers with a government of technocrats. “Our participation in the demonstration aims to reject this government for being sectarian,” protester Abu Ali Al-Zaidi said. Key government posts have for years been shared out based on political and sectarian quotas, a practice demonstrators have called to end. The government “did not bring the country and Iraqis anything but poverty and killing,” said Zaidi, who travelled from Maysan province in southern Iraq to take part in the protest. “All Iraqis must protest to reject this government, which failed in all fields,” said Abu Mohammed Al-Sudani, a demonstrator from Baghdad. “The political quotas and the parties that control everything are the reason for the failure of the government,” said Sudani, who carried an Iraqi flag. Sadr, the scion of a powerful clerical family who in earlier years raised a rebellion against US-led forces and commanded a feared militia, called for a mass demonstration in Baghdad yesterday to pressure the government to carry out reforms. The protest came on the same day that parliament speaker Salim Al-Juburi was seeking to hold a session to vote on a new cabinet. Parliament has been paralyzed for weeks by the dispute over the cabinet, with MPs holding a sit-in, brawling in the chamber, seeking to sack the speaker and repeatedly failing to move forward on the issue of new ministers. Abadi called a week ago for parliament to put aside its differences and do its job, saying he hoped for a vote on a new cabinet within days-something that has yet to take place. 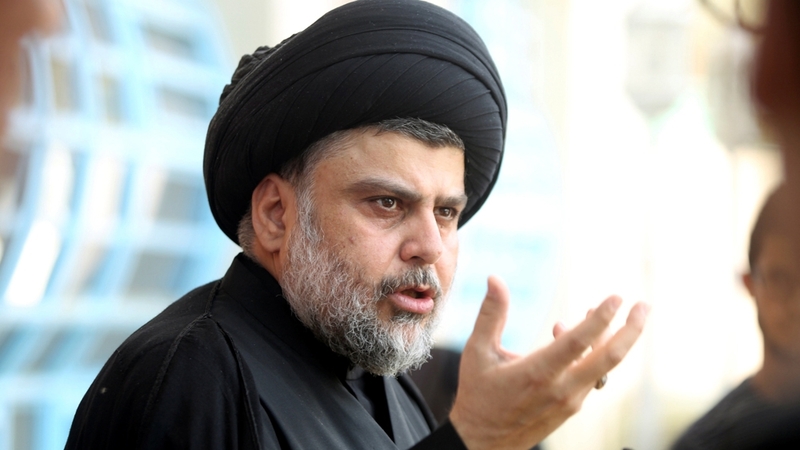 The leader of the Sadrist movement Moqtada Al-Sadr yesterday welcomed Iraqi Prime Minister Haider Al-Abadi’s cabinet reshuffle. Al-Sadr said the people won following the dismissal of some corrupt ministers and their replacement them with technocrats. He warned against delays in the completion of reforms, calling on his supporters to stay in the streets until all changes and reforms are complete. “We swear to God, our young people and the army to continue the jihad on the battlefield against terrorists,” Al-Sadr said. On Tuesday, thousands of Sadrist protesters withdrew from the Green Zone in central Baghdad after the Iraqi parliament voted on a number of new ministers. The threat of someone using a nuclear weapon is even greater now than it was during the Cold War, according to former U.S. Sen. Sam Nunn and former U.S. Secretary of Defense William Perry. No one has used nuclear weapons since the United States dropped two atomic bombs on the Japanese cities of Nagasaki and Hiroshima 71 years ago — the only time a country has used nuclear weapons against its enemies. But it’s not likely the world can go another 71 years without a nuclear weapon being used against people, Nunn said on the University of Georgia campus Tuesday. “I would hope so, but the odds are against it,” Nunn said. Nine countries now have nuclear weapons, and two more, Iran and North Korea, have nuclear aspirations, Nunn told a large crowd in the auditorium of the university’s Russell Libraries Building, which houses UGA’s special library collections. “The thing I worry about a great deal is that we’re in a new era where states no longer have the monopoly on nuclear weapons or material or knowledge,” he said. The best defense against that reality is keeping nuclear materials out of their hands, Nunn said. Perry joined the crowd on a big video screen via an Internet link from his faculty office at Stanford University as he and Nunn delivered UGA’s annual Charter Lecture. The lecture is named for the 1785 UGA charter, the first such charter granted in the new United States after the Revolution. It’s at least partly by luck that the Soviet Union and the United States never launched nuclear missiles at each other, said Perry, secretary of defense from 1994-97 under President Bill Clinton. The United States at least three times received false alarms when the military thought the Soviets had launched a nuclear attack, and “we know of at least two (false alarms) in the Soviet Union,” he said. The dangers back then were twofold, he said — accidental war resulting from a false alarm, and a “war of miscalculation,” which was narrowly avoided during the Cuban Missile Crisis of 1962. In each day of that 12-day period, “I truly believed it was going to be my last day on Earth,” Perry said. The U.S. and the Soviet Union avoided war “as much by good luck as by good management” in 1962, he said. We still have those two dangers today, plus two more, Perry said. There’s a real danger a terrorist group such as ISIS could get hold of nuclear material and make a so-called “dirty bomb,” in which radioactive material is mixed with explosives and set off in a major city. That wouldn’t kill a lot of people, compared to an atomic bomb, but it would render large areas uninhabitable, tremendously disrupt the economy and force a large migration of people, Nunn said. The second new danger is the possibility of a regional war, a possibility that didn’t exist during the Cold War, Perry said. The “poster child” for this possibility is continuing conflicts between India and Pakistan, both of which have nuclear weapons, Perry said. The United States and Russia must cooperate more than they have recently in order to keep nuclear material from getting into terrorists’ hands, Nunn said. “Russia and the United States have 90 percent of the nuclear weapons. We have an obligation to work together. This is vital. This is existential,” Nunn said. Russia has taken destabilizing actions recently, including violating the sovereignty of its neighbor, Ukraine, and “these are dangerous times,” Nunn said. The most important way to prevent accidental war now is to get U.S. and Russian diplomatic relations back on track, Perry said.